One player is the storyteller, and he will say a clue. Everyone offers up an image card, and the players who can guess the clue score points. 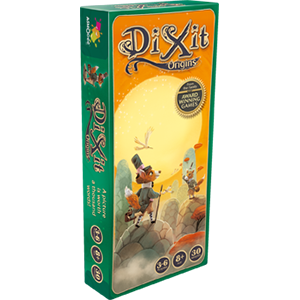 You can mix and match the cards in Dixit Origins with any of the other Dixit sets to make keep your favorite guessing game full of adventure and imagination. NOTE: As this game is an expansion pack � you must have a base game in order to play.